My baby turns one this week. Unbelievable. We all love our birthday boy! It really does seem like just yesterday that we bought him home from hospital as a tiny bundle who was thrust into the middle of the very noisy, messy and fun life that is 4 kids under 5 and a half!! He has been an absolute delight and we thank God every day for him – our family would not be whole without him. To celebrate his birth (and the fact that we survived and thrived the first year with 4 children!) 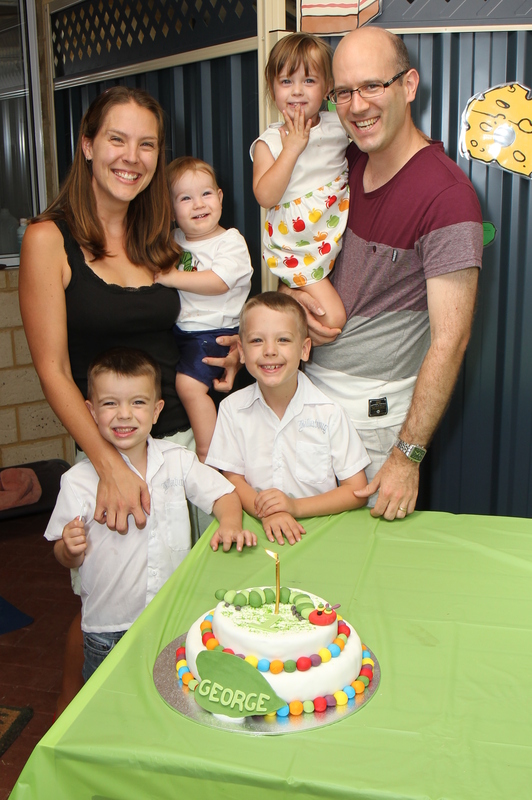 we had a little party – with the theme of his favourite book – The Very Hungry Caterpillar. So, we had soy ice creams with gluten free cones, lollypops, watermelon, red sausages, a plate of vegan cheese together with gluten and dairy free salami and pickles (gherkins), banana muffins, chocolate cake (the birthday cake) and then cherry pie. 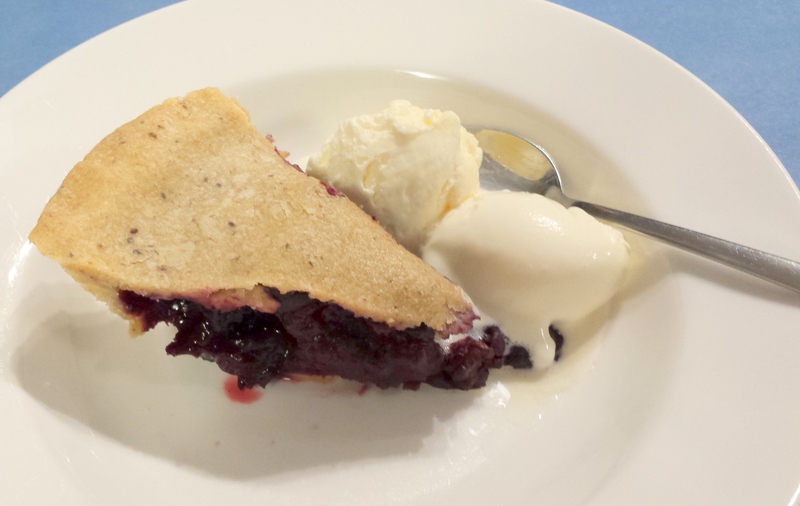 I hadn’t ever made cherry pie before so it was my big challenge! It turned out to be very tasty and will be back on my dessert menu again! In a small container, mix together the iced water and chia meal and set aside. In a food processor pulse together the flour, sugar, Nuttelex and lard until they resemble breadcrumbs. Add in the gel that has formed from the chia meal and pulse again a few times until it is well combined. Tip on to the bench and knead gently into a dough. 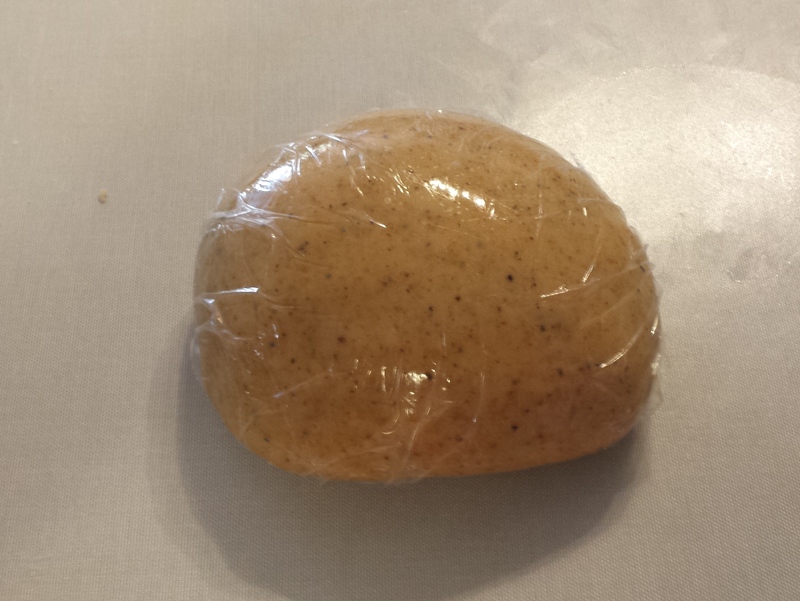 Form into a disc, cover in plastic wrap and place in the fridge. Remove from the heat, then add in the corn flour and sugar. Mix well until the flour and sugar is dissolved (Speed 1 for 20 seconds with a blunt blade in a thermal cooker). Add in the vanilla and return to a low heat. Mix until the liquid thickens (about 4 minutes at 90C, speed 1 with a blunt blade). Remove from the heat and gently stir through the remaining 250g of whole cherries. Set mixture aside to cool. It will get thicker as it cools too. 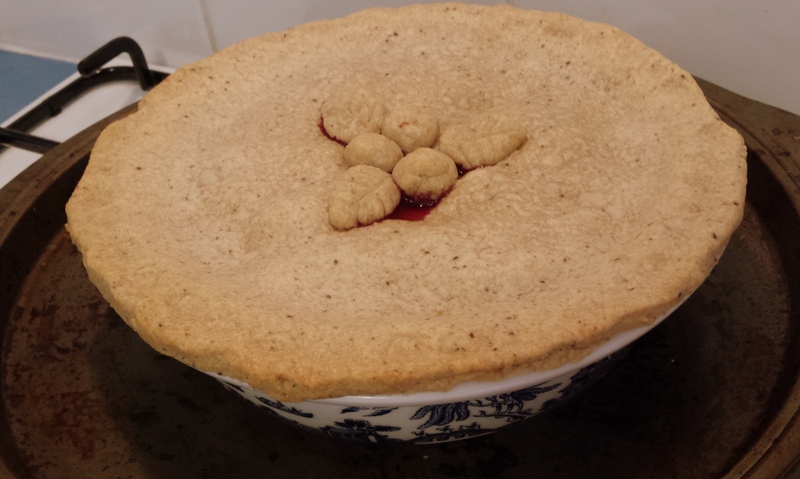 Take the pastry out of the fridge and split into 2 (one slightly bigger than the other for the bottom crust). 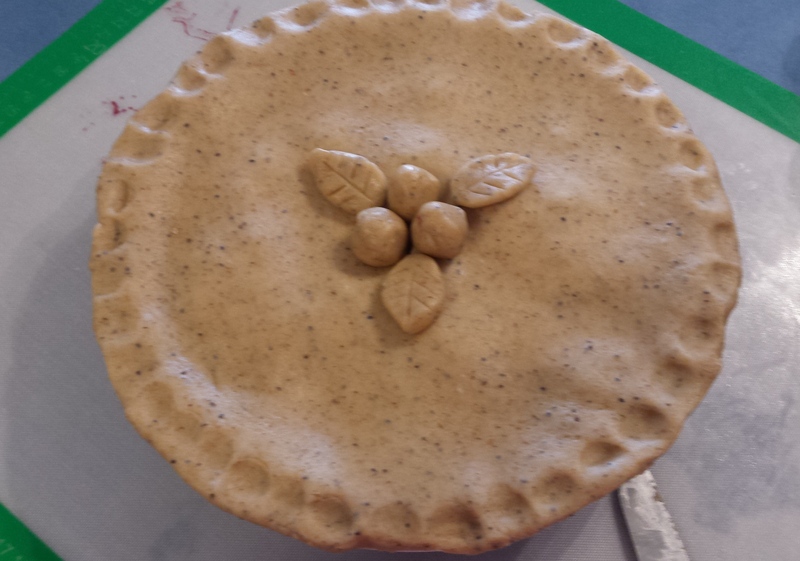 Roll out to fit your pie dish – mine is a 22cm round dish and this quantity of pastry is the perfect size. 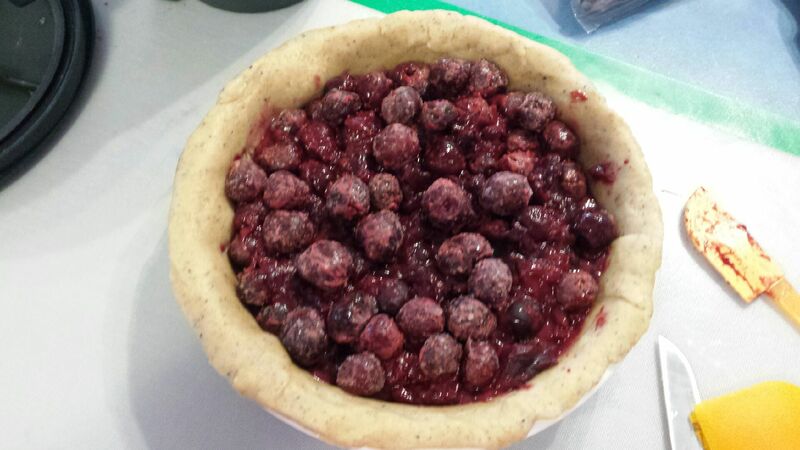 Grease the pie dish and lay the bottom crust in, add the cherry filling and top with the pie crust. Press the sides together and cut a couple of small slits for steam. Decorate as you wish. Bake in a preheated 180C for about 50mins – 1 hour. Sprinkle with icing sugar and serve warm with ice cream, cream, custard or just on it’s own!